Why you need Credit Card? Before going through the steps to get a credit card, let’s discuss why you may need the credit card. A credit card is most useful for those who shop online. Especially if you shop on the international website to buy some services or products. If you just shop only in Indian websites, then most probably you don’t need any credit card. Because most of the Indian websites supports online Net banking nowadays. Few more reason to have a credit card is, if you have a business on the internet, then you must have a credit card. It is one of the primary things to have before starting any online business. If you need to send payment from Paypal to any another user, then the credit card is a must for Indian users now. You can easily get a credit card if you are working in an MNC company. Bankers/Brokers/agent directly come to your company and they will create an account and link to your salary slip/statement and they will give you the credit card even if you don’t want them! But if you are not working in any big company or if you are not working in any company, then it is somewhat difficult to get a credit card. No need to worry… There is an easy solution available to get a credit card from most of the top Indian banks. When I tried to buy a credit card, I don’t have enough information about the bank requirements, process and all. I struggled a lot asking local banks in my place. When I ask them, most bank managers asked me what is a credit card? I really surprised after listening to their words. That time I stopped asking in my local banks. When I come to Bangalore, I again asked in few banks regarding the process of getting a credit card. Axis bank representative told you to need to be a salaried person with 30,000 per month saving! When I asked about the fixed deposit, she told about 50,000 to 1 lakh (not sure how much now it is) deposit. After some days, my friend introduced me to an SBI credit card broker/agent. That broker told clearly how we can get a credit card and what are the steps required to apply. After listening to his words now I got some knowledge and process of applying. It is really easy to get a credit card without having any Job in MNC company. When I met with SBI credit card broker (who usually available inside the bank) he explained me to first open a bank account to apply for credit card. After few days, I opened my bank account in SBI and then I immediately deposited 25,000Rs in a Fixed deposit to apply for credit card. Based on my FD, the SBI credit card broker initiated for the credit card application process. And within few days, I received my SBI credit card. So the easiest way to get a credit card is by fixed depositing some amount on the bank. By this method, you don’t need to have any Job in MNC, No salary slip, PF deduction slip or don’t need to have any other information. Just open a bank account and ask them a minimum fixed deposit (FD) to apply CC and apply CC based on your FD. They won’t ask any other information if you apply through FD method. I have been a customer of SBI CC for almost 2 years now and I never faced any issue with them. You can apply for SBI credit card online by visiting here. Tip: If you are applying for SBI CC then make sure you cancel Card protection plus service, it simply wastes 1000 RS per year. If you need to know anything else, then comment here. Thanks for writing such a beautiful and helpful post. I have emailed you, as i am also looking to have Credit Card from the SBI bank or any other bank. Can you please look into your mailbox and reply me. Your kind and positive response is really appreciable. You can ask any of your doubts here itself.. it will help other users as well. Is it possible to get american express card with Fixed Deposit ??? In most cases Yes… but I’m still not sure about it. Please visit bank and ask there once..
read this post dude… if you have any doubt let me know. Hello, thanks for sharing. I am also planning to do the same. If you don’t mind, may I know how much Credit Limit did you get for first time with Rs.25000 F.D. I know it’s depends upon the applicant but I just want to get an rough idea. For 25,000 F.D (Fixed Deposit) I got 20,000 Rs credit limit. If need anymore info let me know here. I haven’t done that yet…most probably yes we have to surrender our credit card. you don’t need to surrender card for 1 lac Fixed deposit. after receiving card , you can withdrawal your FD anytime. Oh ok. Thanks for sharing info. What about the charges we want to give?like monthly or yearly service charge or something like that? Yearly. I guess my SBI credit card charges is around 500 Rs per year. Yearly 500RS that’s it. Don’t activate “Card Protection Plus” (CPP) it’s not required. When they call directly say NO to “CPP”. There is no other charges. hii bro…can i use this card in another country and paying or transactions in international purpose ?? If you are asking for online transaction, then Yes. For physical transaction-then i think it is also possible but I never tried. Hi arun…I need credit card for online tuitions course that cost me 19 USD/month…They ask me to pay via credit cards..I’m a student ,how can I go about this? As I informed in this post, open F.D (Fixed Deposit) on any bank and based on that FD apply for Credit Card. If they told you are a student then ask your father to get CC. Don’t worry about salary… just save 25,000 RS and Put it on F.D. After that ask or apply for Credit Card, they will surely provide the CC based on your F.D. Hi Arun…..Is it possible to cancel the FD after getting the Credit Card? I think No. You cannot cancel FD unless you surrender your Credit card. In F.D itself they will write “On Hold for Credit Card”. So you cannot cancel until you surrender your Credit card. if i open an account tommorow in axis bank, and i deposit 30000 FD, then how long would it take to get me a credit card…and after getting the credit card,,will my credit limit will increase. Not sure about Axis bank. Here How SBI works. If you Deposit F.D, in the same day only you can apply for CC. If i’m not wrong, you will get CC within 15 days. No, You cannot increase CC limit later. In Axis Bank, you can open a F.D. and then apply for an Insta Credit Card against the F.D. The credit limit is 40% of the F.D. amount and the Credit Card is issued instantly on the same day. It is a numbered card without name printed. You can apply online to change the Credit Card with your name printed. Preferred F.D. is ₹1 lakh. Check out the Axis Bank website for latest details. Yes. If I remember correctly they said minimum deposit is 1 Lakh rupees in axis bank for getting CC. Thanks for sharing updated information. u r awesome man.thank u so much for the help. You can Deposit for at least 1 Year. What happens after 1 yr if you discontinue FD after maturity? Surrender the card still? I think so… but not sure. One reader as said no need to surrender card (have a look on comments for his comment). Thank you very much, this is a great informative post. Can you tell me, within how many days I have to deposit the money to bank I spent through Credit Card ? Depends on CC you get. For example, on SBI our bill will be generated on every 5th of every month and you will have around 1 week timings to pay the Credit Card bills. Is it Possible to Get American express Card Like this same like SBI Bank System ? You want to take American Express Credit card,their are several negative point with American Express Credit card . 1-Annual Fee is very higher(Aproximate RSD 2400 ) As compare to other Bank Credit card Like Axis Bank ,HDFC bank Etc. 2.45 Days interest free time period can avail with this Credit card. 3.Rate of interest & customer service is not show good As other Bank. it has positive points like 100% credit limit against Your FD. I recommend You Axis Bank ,HDFC bank & ICICI bank Credit card against Your FD because these banks provide low annual fee( Approximate 250 to 499 INR ),best offer online & offiline store & best customer care service. Why do you want American Express? Their gateway is not as popular as Visa and mastercard. In America too people avoid Amex cards. Upto you. I guess you can follow the same procedure as I mentioned in this article. If need to increase your limit…I think again they will ask another FD. What do you think about HDFC Credit Card? I think these are bunch of money sucking crooks. But I still think these are easy to get bank. Is there any way I can get it in 10K budget. I’m not that much experienced in HDFC Credit Card. I have one, which I got recently only. I’m seeing lot of extra charges like consolidated fcy markup fee, service tax, cess tax etc.., which I never seen on my SBI CC. I may need few more months to decide which one is best. Regarding 10K budget, I’m not really sure about that. You better contact any CC agent. Hi Arun, Thanks for explaining the process of getting a credit card. I have a question. Does your SBI Credit card allow international payment and payment via paypal? What is the exact name of your Credit Card, there are many offered by SBI and do we need to give some instructions to the Bank for international payment? Yes. You can do international payment. Yes. You can do payment via Paypal. 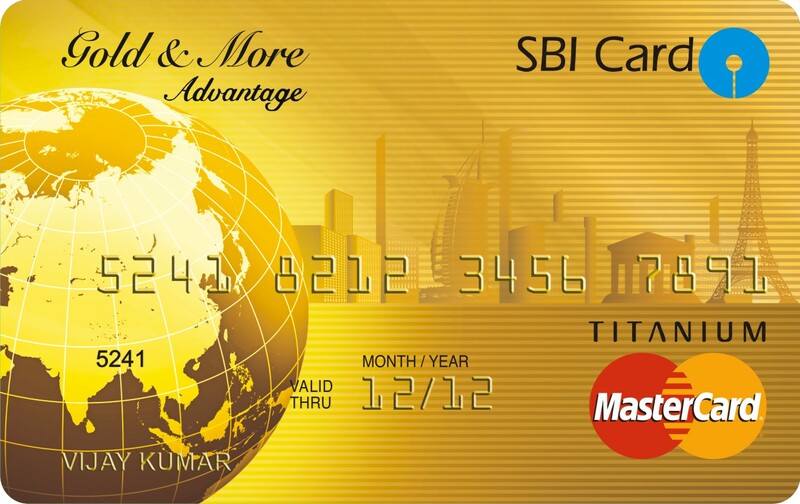 I’m using SBI Gold & More Credit Card. No specific instruction is required. Tip: Don’t activate Credit Card Protection Plus plan (Extra Rs 1,000+ per year charges). WHich is one of the best credit cards available for utilities and fuel bill payment? I wont be shopping a lot online. Please go and check with bank only… usually they will be inside or outside bank. I got 20k salary/Month. Can I get credit card from any of the globalized bank. If yes, pls provide the bank name and tell which is the best ? If you are employed in some company you can easily get credit cards from banks. Just go and ask bank to know about it. I use SBI and HDFC. I didn’t face any issue with both of them. Hi.. with that salary you can apply HDFC Credit Card. You can easily get that. Contact nearest branch (check with broker) i think you even apply online as well. Try on HDFC online site. NO. I don’t think so… I personally know some my friends took HDFC CC below 20,000 rs salary. Please try to go and contact manually it may help. In SBI for 25,000rs you will get 20,000 credit limit. No bank company will give you 2 lakhs credit limit. I have a Bad Cibil score due to my past history, however i’m trying to clear one by one. But i was desperate to have CC however i have SB account with SBI and my transactions are good, every month minimum 40 to 70 k i transact, and my salary also get credited to SBI saving account And recently i have done FD for 45 thousand, and i have applied for Simply Save Credit Card, Do you think SBI will offer me CC card on my FD as i have bad CIBIL score. Do i still get Credit Card….Please help me to understand. Hi.. I’m not sure about CIBIL score towards CC. So I cannot answer this question. I think they can give CC based on FD without having any issue.. but still I’m not sure about bad cibil score affect towards CC. I’m not any working person. I want to open a SBI platinum credit card. And already I have a SBI account. So, how much amount should I fixed deposit in my account for CC? Yes. You can get even if you are going to college as well. Just deposit FD… based on that apply for Credit Card. Hey Friend. I have a salary account in HDFC bank which was open by company (MNC) where i work but my salary is only 11400 per month. Can i get a CC on my salary based?. If yes then what will the limit of CC?. Thank u Arun for a great post. I heard from my bro..when He joined company he was getting 15K per month. That time he applied for HDFC CC based on salary and he got 20-30K CC limit. I’m not sure whether they offer for 11K salary or not. They could give I guess. You better speak with bank once. I have just got an offer letter from a MNC of 40k per month. But joining date is after 3-4 months… Can I get a CC in lieu of my offer letter and ctc letter ? Hii Arun, I’m salaried person. Can I get cc without FD? Plz help me how to get. Yes. For salaried person they can get directly without any FD. All most all bank offer such facility. Speak to Bank or Credit Card Department on bank they will guide you. Yes. Just apply with FD method.. they don’t consider any police and all. dear arun i need your help..i am retail pharmacy owner..i pay near about 1-1.5lak/month to my supplier against their inovice. unfortunately i failed to pay ITR and dont want credit card against FD..i have current account and have good and clean record with bank..another thing i stay at taluka place in maharashtra..i have seen online banks unable to offer credit card due to my place..i havent taken any loan or existing credit card.requesting you can you tell is their any chance to get credit card from bank customer like me..i will very thankful to you..one small request send all information to my e-mailid..i.e.rohanpail2354@gmail.com..